About Us | Lange Bros. Woodwork Co, Inc.
With a history of quality, craftsmanship, and service, Lange Bro. Woodwork Co. delivers the highest value in custom architectural woodwork. Best described as lean manufacturing meets old-world craftsmanship, we understand the importance of both and pride ourselves on our approach. We are your partner – from concept to completion. Our team is a family of dedicated, experienced, and well-trained craftsmen and project managers. We deliver truly unique architectural interiors as well as a great client experience. There is no substitute for experience. 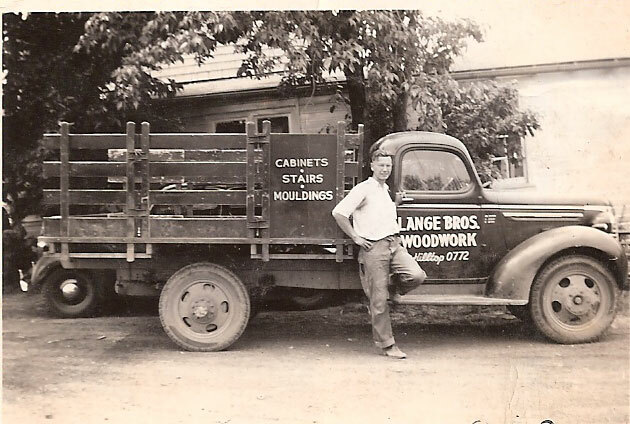 Since 1932 the Lange family has created quality architectural woodwork. Take a walk through our “family” album and trace our roots. As a full-service provider of architectural woodwork, we have the capability, capacity, and flexibility to create and deliver every wood component of your interior design. Proud members of the Architectural Woodwork Institute (AWI), we’ve been recognized by our peers as well as the leading quality inspection agent in the industry. Interested in learning alongside the best in the business? We offer our employees on the job training, opportunity for advancement, and a strong benefits package. Looking for an expert to help you complete an architectural woodworking project? Send us your project specifications.